Best Life Media has put together its three products based on the 9,000-year-old scripture, the ChunBuKyung, into one package that has everything needed for personal transformation using the ChunBuKyung. 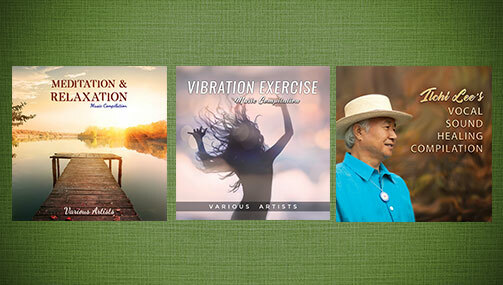 The kit includes a writing meditation workbook, a chanting meditation CD, and wisdom cards. When you write, hear, say, or see the 81 characters of the ChunBuKyung using these products, you begin to resonate with the purest energy. This energy clears away all energy blocks, including negative thoughts and emotions. The practice of writing or saying the ChunBuKyung also serves as a meditation that keeps you present in the moment. It immerses you in the experience of each character and its distinct meaning and energy. The ChunBuKyung speaks of the laws and process of creation and of how everything comes from and returns to one source. Its essential concept is a universe of oneness. Good and evil, life and death, heaven and earth are not defined as opposites, but as parts of the same cosmic harmony. A process of awakening and regeneration and becoming one with the universe can be experienced through studying and practicing with the ChunBuKyung. Use the ChunbuKyung Writing Meditation workbook to guide you to draw each character of the ChunBuKyung and understand its meaning. By repetitively copying the ChunBuKyung, you will integrate its essence into your body and mind. Use the Power of the ChunBuKyung CD to feel the ChunBuKyung’s power through sound. It also includes tracks that speak of the history and meaning of the ChunBuKyung. With practice, you can use the CD (and workbook) to learn to chant the ChunBuKyung yourself for more effectiveness. 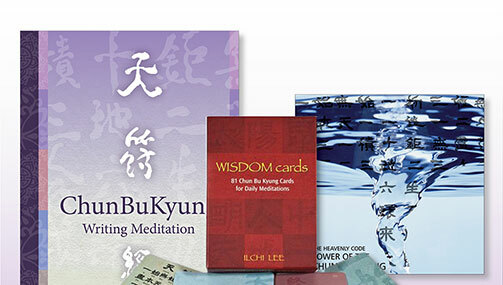 Use the ChunBuKyung Wisdom Card deck to get a message from the characters of the text that can inspire and guide your life. 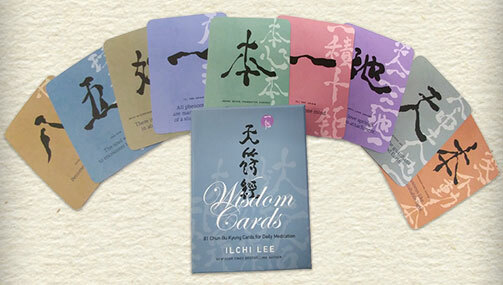 There are 81 cards, one for every character, which show the character, its meaning, and author Ilchi Lee’s interpretation of it. 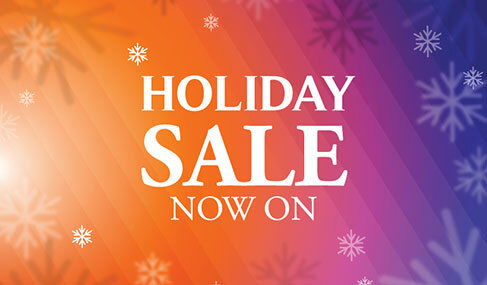 The ChunBuKyung Practice Kit has been priced at 15% off the price of buying the three products separately. They can be ordered here and will arrive in one package.